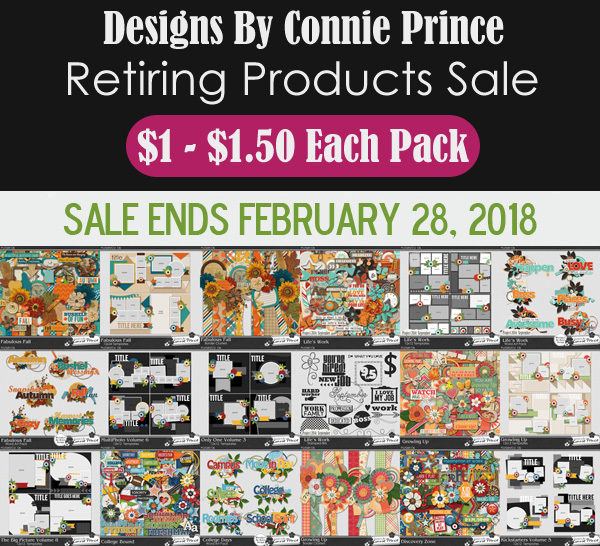 Connie Prince Digital Scrapbooking News: Marvelous Monday winner, sales and a Freebie!! Marvelous Monday winner, sales and a Freebie!! Congrats are in order to Karen G! You won last week's blog game! Connie will be sending you a coupon code shortly! 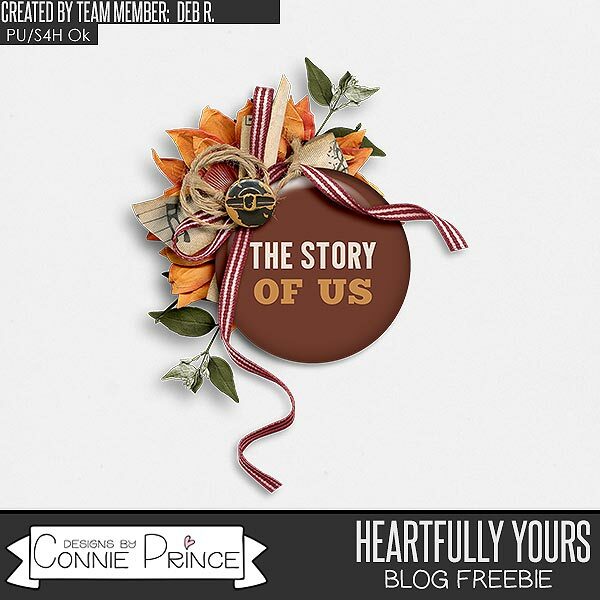 Our weekly blog game is one of the easiest ways of winning a coupon code to Connie's store! Just check back on the blog on Wednesday to play! 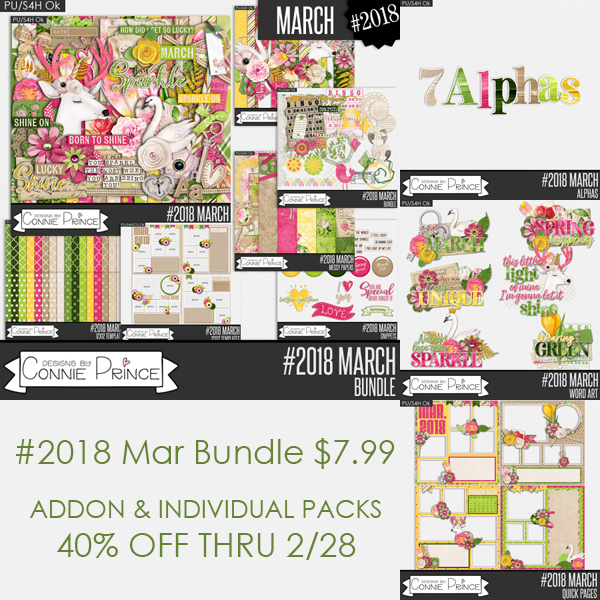 There's only a few days left to save on #2018 March! You have until Wednesday before these products are gone! Grab them for a great deal!